The KD485-ADE-4XX-20MA is similar to the KD485-STD-422-20MA but inserts a microprocessor (with two serial ports) into the data path which provides data buffering and facilitates baud rate etc conversion. The RS422 or RS485 interface can operate as RS422 or 2-wire or 4-wire RS485. Port 1 is RS422/485. Port 2 is 20mA loop (TTY). 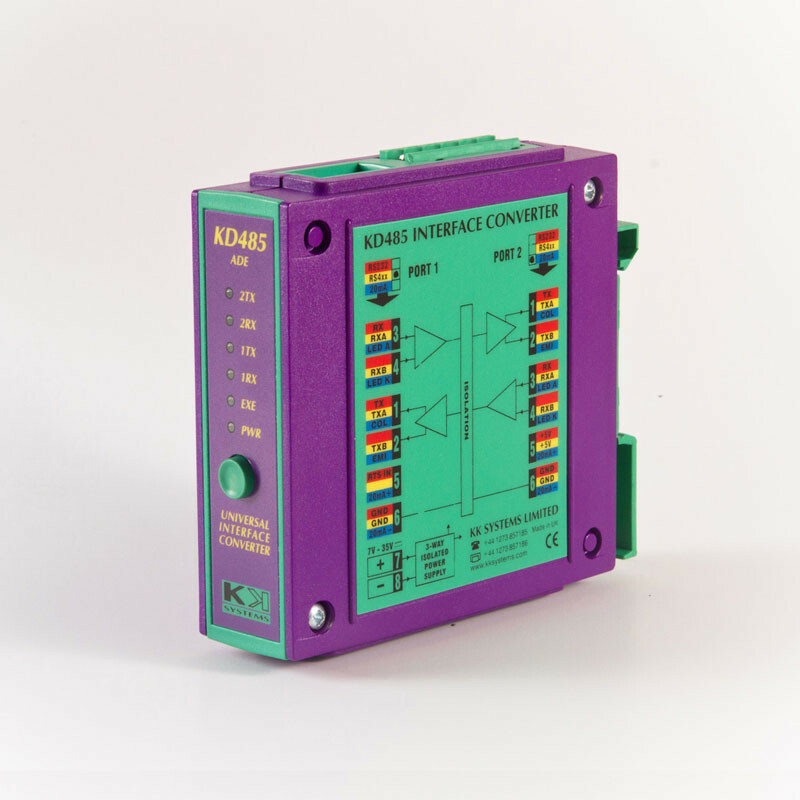 The KD485-ADE-4XX-20MA is configured using a "dumb" terminal or a PC (via Port 1, RS422 - this requires the PC to have an RS422 interface) using the supplied GUI-based KDCFG Windows configuration program.